How Often Should You Do Car Maintenance? No matter the make, model or age of your vehicle, one thing is always for sure – your car will require regular maintenance. Two main questions often arise when it comes to maintenance. The first being how often you should perform maintenance and, the second, what parts require attention? Here are the facts you need to keep your car in top condition. The owner’s manual of each vehicle includes a wealth of information. Included in this information should also be a maintenance schedule. If it has a chart, you can keep track of past maintenance and schedule future appointments with ease. If it does not include a charge, you can always make your own. Your driving habits and road conditions will also influence maintenance frequency. Onboard computers trigger easy-to-understand alerts. A light on your dashboard will appear when a specific problem arises. You can consult your owner’s manual if you are not sure what the light means. 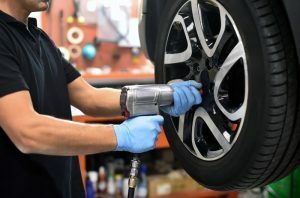 While some parts on your car can go for years without any special care, others need to be tended to at least once a year – depending on driving conditions and mileage. 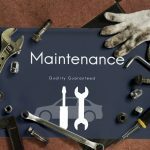 Here are some of the most important maintenance tasks that you should have performed according to schedule and without delays. Putting these tasks on hold can severely affect how your car functions and your safety. The oil in your engine is responsible for keeping everything running smoothly. Apart from choosing the right type of all for your car, you also need to check the quality, viscosity, and oil level. Depending on the vehicle make and model, you might want to check the oil level once the motor is warm or, in other cases, when it is cold. Once warm, the oil level will drop as the oil is pumped out of the reservoir and into the engine. Dirty oil needs to be changed and, if the oil becomes too thin it will not provide effective lubrication. Keep your eye out for leaks by keeping your engine clean too. When checking your oil, make sure your car is parked on level ground. Remove the dipstick, wipe it off and place it back before removing and reading the level. Apart from changing your tires based on the weather requirements, you should also pay close attention to wear and tear. To get the most out of your tires, you should always store them properly when not in use. Check the tire pressure and inflate or deflate according to the owner’s manual. Check for visible damage and inspect the tire wall for any cracks. Check the tire tread and make sure that excess or uneven wear has not occurred. Replace your tires if they are excessively worn or damaged. Inspect all tires – including the spare. Filters are essential for keeping dirt and dust out of your engine. Make sure that you stick to your replacement schedule for best results. This applies to all air filters including your engine air filter and cabin air filter. Different parts of the braking system will require replacement at different stages. While your brake pads might need to be replaced more often, other parts can last a lot longer. These parts can be measured by a professional and they can usually tell you how many more miles you can safely drive. If you have any part of your braking system replaced, make sure that you note the mileage and take it easy for the first few trips. Ask your mechanic about wearing them in safely. Noisy brakes could be due to dirt or a greater problem. Never hesitate to have them checked. Batteries usually last several years but the weather can take its toll – especially the winter. In the winter, make sure that you start your car every day to prevent the battery from losing its charge. Older batteries should be replaced before the winter or they can let you down. Keep your vehicle on the road and your loved ones safe by performing regular vehicle checks and maintenance. To prevent any nasty surprises, make sure that your car is covered by a comprehensive warranty. Call A-Protect Warranty today at 1-866-6606444 for a warranty designed to suit your needs. 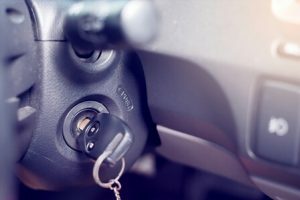 It can be especially stressful when you get in your car, turn the key, and your car will not start. You are obviously on your way somewhere which means that you might very well end up late, which is often more troubling than anything else. Here are some of the most common causes to consider when your car won’t start and some tips on how to deal with them. Take a moment to listen to your car. Even if it has not started, it could still be trying to tell you something with those little noises it makes or does not make. If you turn the key and the engine doesn’t crank at all or you hear a clicking noise, it could be the battery. All batteries have a lifespan and it’s good to remember that the cold weather can seriously drain them. Batteries need to be recharged regularly and this is done by running the engine. If you do not start your car for a long period of time or even for just a few days in the winter, your battery can easily lose its charge. In order to check for battery problems, you should try turning on the headlights. If the lights are dim, the battery could be dead or there could be poor battery connections. Take a moment to think of whether or not you happened to forget the lights on the night before. It’s also worth checking the battery connections. Clean and tighten them before you try to start again. Call a friend, neighbour, or auto service to jump-start your car. If this works, you should have the battery tested and possibly replaced. If your battery is new, you might want to have the alternator checked. The alternator is responsible for recharging the battery while your car is running. If it is faulty, then your car has been running purely on battery power and you will need a new alternator. • Turn the key from ‘off’ to ‘start’ ten times in a row. • Wait a few minutes. • Try to start the engine now. • If this does not work, repeat once more. • If it still does not work, it’s time for a different approach. • Apply your foot to the brake pedal. • Shift the vehicle into neutral. • Try to start the car. • If this does not work, shift into park and try again. • This trick can help reestablish electrical contact inside the transmission. If your car does start thanks to this trick, you should have it checked out by a professional urgently. 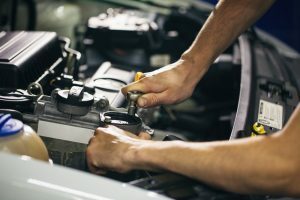 If the engine cranks but the car won’t start, there could be any number of problems and it’s best to have a technician take a look. A frozen fuel line in the winter is common if your fuel tank is running low. Keep your fuel tank at least half full. That way the condensation from the fuel will not reach the fuel line. If it can’t reach the fuel line, it can’t freeze in the fuel line and you won’t have to worry about frozen lines in the winter. Driving in deep snow and wet conditions can also cause wet spark plugs and similar components. A trained technician will know just how to diagnose and repair such problems. 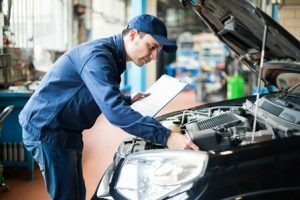 Remember, if your vehicle is under any kind of warranty, you should always file your claim before hiring a mechanic in order to ensure that the repairs are covered. Wear and tear are a given when it comes to all cars. That is why it is so important to make sure that you are not caught by surprise. With A-Protect Warranty, you can enjoy the best used car extended warranty coverage designed to suit your needs. Call us today at 1-866-660-6444. Winter driving is a skill that not all vehicle owners have mastered. There are so many more risks to consider when driving in such weather and the roads can be particularly tricky to navigate. Here are some of the most important Dos and Don’ts. Prevention is always best and you can avoid many problems by inspecting your car before winter. • Have a mechanic perform a ‘winter check’ on your vehicle. This includes looking at the coolant, brakes, and more. • Check for cracked or frayed belts under the hood. • Get any needed repairs taken care of promptly. • Test the battery to make sure it will get you through the winter. Cold weather takes an extra toll on battery life. • Replace the battery if necessary. • Have snow tires or at least all-season tires fitted. If you live in an area that receives heavy snow, you should know that all-season tires are not ideal and snow tires are the safest bet. • Check the tire pressure since it will go down in winter. • Keep a set of tire chains in your trunk. • Top off your windshield wiper fluid. Consider using a winter blend for these cold months. • Check your windshield wiper blades for tears and other damage. Replace if necessary. • Check all the lights on your car and make sure they are working. • Keep an ice scraper in your car at all times. • Keep jumper cables in your car at all times. • Keep your gas tank at least half full during winter to prevent frozen fuel lines. • Small snow shovel, sand, salt, or something similar if you get stuck. • Emergency survival items including warm clothes, medical supplies, non-perishable foods. • Always tell somebody where you will be travelling and set a schedule for checking in if you are taking a long trip. If you do not check in and can’t be reached for a long duration of time, your contact person can notify the authorities of your travel route and schedule. This way, they will know where to find you. • Drive slowly for at least a mile to warm your car up. This is easier on the engine than warming up in the driveway. • Keep an extra distance between yourself and other cars for braking purposes. • Anticipate turns and traffic lights. • Pick up momentum before approaching a hill. • Take your time and stay calm. • Always stay alert and look for pedestrians. • Practice winter driving in an empty parking lot and feel free to lose control a little so that you know how to bring your car back under control. • Never warm your car up in a closed space, as it can risk carbon monoxide poisoning. • Don’t warm your car up by idling. Drive slowly for a mile instead. • Try not to stop completely unless you have to. It can be difficult to get going again. • Don’t stop your car while going uphill. • Don’t drive with summer, worn, or bald tires. • Don’t accelerate too quickly when going uphill, your tires will most likely spin. • Don’t use your parking brake while driving. You could lose control because your car will start spinning. • Don’t use cruise control, you may lose traction. • Do not over-correct if you do spin out. Instead, steer into the skid. • Don’t brake if your car spins. It will be more difficult to regain traction. • Don’t assume that everyone else on the road knows how to drive in the snow. User your common sense and listen to your gut instinct. If you are too nervous to drive during poor weather, have an experienced driver take the wheel or wait until the worst conditions have passed. Remember that you should always have an auto warranty that you can rely on should any unpleasant incidents occur while you are travelling. Contact A-Protect Warranty at 1-866-660-6444 for the best and most affordable used car extended warranties to set your mind at ease. The price of a new car these days is enough to make anyone’s knees feel weak. Add to this the rapid depreciation of value and it’s easy to see why so many people opt for used vehicles instead. Used, pre-owned, or previously loved, no matter how you put it, these vehicles have all been driven and possibly put through their paces. From a buyers perspective, it is essential that you keep the following checklist in mind before you sign a deal. Check the car inside and out. As you take a walk around the vehicle, don’t be afraid to kneel down and look at the way the panels of the vehicle side, front, rear are aligned. Check for dents, rust or any other signs of damage. Inspect the upholstery and trim with care. If there are seat covers, ask the owner to show you what’s hiding underneath. If possible, take a peek underneath the car. Again, look for any signs of damage or rust. Your inspection is best done during the day. At night you can easily miss a lot. You can test a new car before buying so why not test a used one? It’s important that you feel how the car handles and take note of every little detail. Do yourself a favour and don’t drive with the radio on. Try to encourage silence so that you can hear the motor, listen to the gears shift, and pay special attention when taking a corner. You should not only take gentle corners either; try turning the car around completely (this is best done in an empty parking lot) and listen for sounds like knocking noises. A quick trip on a highway will also help you determine how the car handles at higher speeds and if any rattles or vibrations develop. Test all of the electronic and electrical features too. A leak test is done when you park the car in a clear area of a road or a clean parking bay and allow it to run for at least 30 seconds. Move the car and exit it to inspect the area for any fresh fluids that could be leaking from the vehicle. Remember, if the car has an air conditioner and you are using it, it could be condensation that dropped on the ground. Green fluid can indicate an anti-freeze leak while black fluid is usually oil. Any leaks of this nature are a red flag. You can always have your trusted mechanic perform mechanical tests for you. 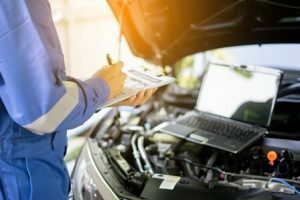 Most cars can be connected to diagnostic machines and you can have the car placed up on a lift to get a good look underneath. A mechanic’s trained eye can save you a lot of money and grief. Know what you are getting into by reading about the type of car you want to buy. Read about common problems, positive attributes, and customer reviews. Used car shopping is definitely about negotiating. Don’t let the dealer take advantage of you. Determine the official value of the vehicle (also known as the book value) before negotiating. Any damage to the car constitutes a lowering of the price. You can get estimates on how much the repairs would cost and have the seller lower their price by at least that amount. The VIN is the Vehicle Identification Number. Check the VIN to make sure that it is not a cloned number used to sell a stolen car. The VIN number will also help you find out more about repair and part replacement costs down the line. This report will reveal the ownership history, any title problems, service points, accidents, and so on. It’s best to know what the car has been through before you buy. You should not feel like you have to buy in a hurry. Your used car is an investment and it’s worth considering your options wisely. Don’t forget to make sure that your car is always covered by the right warranty. For extended auto warranties to suit your personal needs, contact A-Protect Warranty at 1-866-660-6444 today. Never underestimate the power of Mother Nature during the winter months! She can send some pretty harsh conditions our way at the drop of a hat. Like the old saying goes, always hope for the best but prepare for the worst. Therefore, it is important to keep a winter emergency kit in your car. During these cold, snowy months, there many important precautions to take whenever you get behind the wheel. Having the necessary supplies can literally mean the difference between life and death in some cases! 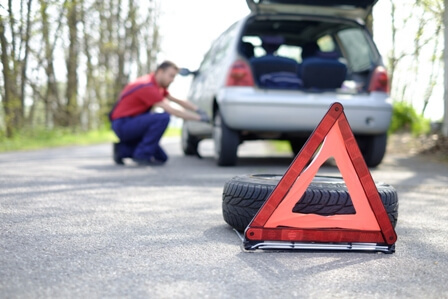 You never know when your car might get a punctured tire, run out of fuel, experience a technical or mechanical failure, or even slip off the road. Here are some of the most important items to keep in your car at all times during the winter. 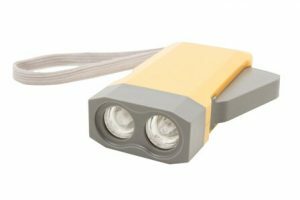 • Flashlight with extra batteries or a hand-crank powered flashlight. Test your flashlight before you pack it and make sure that the spare batteries are in a sealed package to prevent loss of charge. • Jumper cables should you need to jump start your car or even help somebody else out. • First Aid kit with band-aids, antiseptic, gauze, adhesive tape, gloves, bandages, etc. • Multi-purpose tool like a Swiss Army Knife or Leatherman. • Reflective warning triangles and/or road flares. • Charged mobile phone and power bank for recharging if needed. • A small fire extinguisher in the event of a car fire. • A tire gauge to check the pressure of your tires. Be sure to check the spare too! • A jack and lug wrench for changing a tire. • Rags, gloves, and hand cleaner (like baby wipes) to keep your hands warm and clean when performing any mechanical checks or changing a tire. • Duct tape for all its versatile uses. • Foam tire sealant for small tire punctures (just to get you from where you are to a tire professional). • A rain poncho or two. • Non-perishable, high-energy foods like dried fruit, peanut butter, and granola bars. • A battery or hand-cranked powered radio. • Box of matches and a lighter. • Cash and spare change. • Paper maps just in case you lose phone signal or you want to save your battery. • Blankets, winter hats, and gloves. • A bag of sand for traction if you get stuck. • Tow strap and tire chains. • Sleeping bag(s) for long trips. • Winter boots for long trips. It’s important to remember that your winter emergency supplies are not only for your safety, they may end up helping others as well. Not everyone leaves their home prepared. Some people think that just because they are just taking a quick drive to another town they don’t need to lug all that stuff along. By being prepared, you could very well be the help a fellow driver desperately needs. Many of the items on this list apply strictly to winter. Once the weather becomes warmer, you will no longer need things like your shovel or sandbags. That being said, it is worth setting aside a special place for these items to be stored during the summer so that they are easy to find when winter comes around again. Each item should be checked and tested before packing it into your vehicle. You should also keep this list handy so that you can refer to it every year. Some items will need to be replaced if they are old or damaged. Some items expire (like your medical supplies). 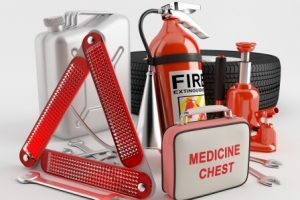 Your fire extinguisher will also need to be inspected by an authorized professional on a regular basis in order to ensure that it still works properly. Apart from stocking your car with all the necessary emergency supplies, you can take safely one step further by ensuring that your car is covered by the best extended warranty. At A-Protect Warranty, our plans are designed to cater to the individual and to set your mind at ease every time you get behind the wheel. Find out more about our plans by calling 1-866-660-6444. Winter can take quite a toll on your vehicle. While some vehicle owners are fortunate enough to be able to park in a garage, others have to park outside. Below, you will find out how to protect your car if you will be parking your car outdoors during the harsh winter months. Purchasing a portable carport is an inexpensive way of keeping weather elements from taking a toll on your car. There are various coverings, tents, and tarps from which to choose. They are available in several colours and sizes. When buying yours, make sure that it is the right size and easy to fit your car into, even in a hurry. Wax is excellent for sealing the paint on your vehicle. Not only is this beneficial during the hot summer months, but it is also good to have that extra layer of protection during the winter. Many drivers agree that there is nothing like professional wax to help protect your car. Shelf products work for a while but they don’t last as long or work nearly as well. 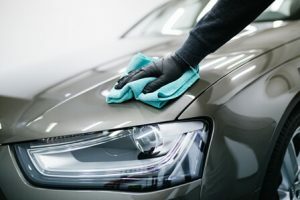 Polishing your car regularly (but not too frequently) is also great for protecting the paint both in summer and winter seasons. During the warmer months, the sun can take its toll on the interior of your vehicle. If you have ever parked your car on a hot day only to return to something that resembles a sauna, then you can benefit from sunshades. Sunshades reflect the light so that your car stays cool. They are also a great way of protecting various interior features of your car like the upholstery, trim, and dashboard. 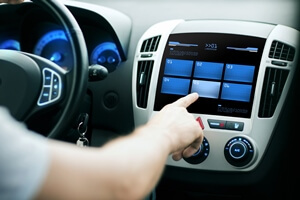 Components such as your dashboard can become dry and brittle, and they can eventually crack. Special shades can also be fitted to your rear passenger windows, these will help keep repel the sun and heat even while driving. Whether you drive your car all day or only to work and back, you can be sure that dirt and debris will accumulate over time. There is no way of avoiding dirt, but regular car washing will help get rid of it and keep your car looking great. If you leave the dirt on your car too long it will eventually cause light scratching and possibly even more severe damage. Professional detailing is often preferred because it is convenient, fast, and offers the best results. 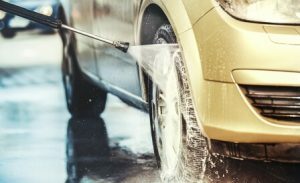 Automatic car washes can sometimes do more harm than good and hand washing is time-consuming and over the counter most car wash products are not of the highest quality. Take care when selecting your parking spot. It’s not just about looking for some shade, but also being aware of the surroundings. Certain trees drop sap which can eat away at the paint on your car. Even sticks and leaves can cause damage. They can stick to your car and release harmful properties that damage the paint. After washing your car in the summer, it might be tempting to allow it to air dry. If you take it out into the sun after washing it, the UV rays are magnified by the water droplets. This will result in hard water deposits that can become etched on the surface of your car. It can also leave spots on your windows, which make it difficult to see properly. Dry your car thoroughly after every wash to prevent water damage. If you have the space, you could install a carport to park your car under. During the summer it will offer protection from the sun and any debris from trees. If you install a temporary tarp, the elements will eventually take their toll on the material coverings but it’s better than letting damaging elements have their way with the paint on your car! Plus, who can resist having their very own shaded parking bay at home? It might not be a garage, but it is the next best thing. Protecting your car is not just about keeping it looking good, mechanical maintenance and having the safety net of a warranty will certainly set your mind at ease. For an extended warranty plan designed to cater to your specific needs, contact A-Protect Warranty at 1-866-660-6444 today. At A-Protect Warranty, we want you to keep your vehicle secure throughout the year. Few seasons put as many demands on our vehicles as winter can. The worst part is that it’s a combination of factors. 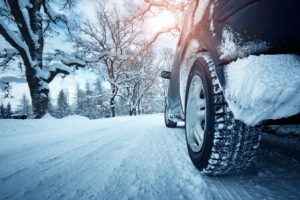 Extreme temperatures, bad weather, and other elements can cause a considerable amount of damage to your car throughout the season. Worse yet, winter also forces a certain additional strain on the motor. For example, did you ever consider just how much your battery goes through between December and February? 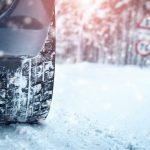 While our cars certainly take a beating during this time of the year, there are thankfully a number of things you can do to keep your vehicle driving securely through the winter. It seems reasonable to say that your car is one of your most valuable investments. 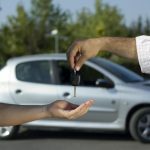 For many people, particularly those who rent, the car represents your largest investment. To that end, you should want to do everything possible to protect your vehicle. This can include investing some time and money into items that may not seem like an immediate threat. Although it may be tempting to put off some repairs, they could quickly turn into major expenses if not dealt with. For example, an old battery can quickly become a dead battery in the cold winter months. • Checking the battery: We just touched on this, and it might just be the most important thing you can do for your car or truck during the winter. Remember that if the temperature drops to thirty-two degrees, you’ve lost as much as thirty-five percent of your battery’s power. If your battery wasn’t at 100% to start with, you can see how this might be a problem. Get your battery checked out in the late fall to make sure it will be sufficient for the winter months. • Wash the car: On particularly cold days, a vehicle with a filthy exterior can be difficult to open because handles and other parts can freeze. The best thing to do is to have your car washed on a semi-regular basis. Ideally you should try to get your car washed on days when the temperature is above freezing. Furthermore, you don’t have to spend a lot of money on this. You can accomplish a lot with the basic wash at any local carwash facility. • Winter tires? This can be tricky to answer. The truth is that not all vehicles need winter tires. The decision is ultimately going to come down to what a typical winter brings to your area. Do you have a lot of snow and ice? If the answer is yes, then it is almost a certainty that winter tires are going to be ideal. Yes, they can run you as much as a thousand dollars, depending on what you need, but the investment is ultimately worth it. • Get the wipers replaced: You should have your wipers replaced every six months to a year or so. Try to time your next replacement to late fall. Be on the lookout for any squeaking or smearing from your wipers. In either circumstance, you are going to need new windshield wipers. • Know where to go for repairs: One of the smartest things you can do to protect your car during the winter is to know where the best mechanic can be found. We all know that damages can happen during the winter and in such circumstances, it is invaluable to know where to go for the help you need. You want a repair facility that is reliable, and you certainly want someone who is going to charge reasonable rates. It may be helpful to do some research on the best auto mechanics in your area. You don’t want to wait until you are dealing with an actual emergency. In terms of how to care for your car during the winter, it also helps to have your warranty on hand. Make sure you can bring this information out in the event of an accident or any other serious event involving your vehicle. Finally, consider joining CAA. While this is another measure that is going to cost some money, the value is going to be pretty apparent from the start. Membership can be extremely useful during the rougher months of the year. If you live in an area that deals with a lot of snow, high winds, freezing temperatures, and other weather related hassles, the odds of running into problems increase a significant degree. While we can’t plan for absolutely everything, there are always going to be things we can do to make sure we’re ready for the worst. To set your mind at ease, contact A-Protect Warranty at 1-866-660-6444 today to discuss the best warranty option to protect you and your vehicle. One of the main concerns every time you drive is road safety. Not only do you need to consider possible risks that you may encounter out on the road, but you must also make sure that your car is safe. Vehicle safety features help keep you, your travel companions, and fellow road users safe. The good news is that vehicle safety has come a long way over the years and regular improvements made by car manufacturers mean improved safety. It should go without saying that you should look for a vehicle with sufficient airbags and you should always buckle up even if you’re driving short distances. Listed below are some other safety features to look for. 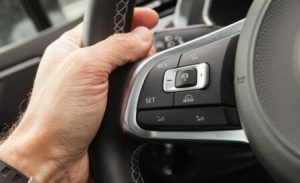 Most new cars come with this feature. With the help of sensors and radar technology, this feature helps ensure that you keep a safe distance from any vehicles ahead. The throttle is automatically applied when needed and brakes are employed automatically when there is traffic ahead. This is a great feature for long distance drivers but it’s not something you would use in a busy city. This system will trigger sharp braking and tighten the seatbelts when used in high traffic situations. While we like to believe that we have cat-like reflexes when behind the wheel, this is not necessarily always the case. For example, when you are tired, you might not be able to react as quickly as you should. AEB technology senses a potential collision and, if you do not react in time, it will start braking for you. These crucial seconds can make all the difference. These systems tend to vary between different vehicle manufacturers and some claim to be superior while others have been reported to be a bit oversensitive. These are two separate systems but they share a common purpose – to keep you in your lane. If you are crossing the lines and leaving your lane, the lane departure system will sound a buzzing noise. Lane Keep, on the other hand, helps steer you back into your lane if you have drifted out. This feature can save the lives of tired drivers and those who suffer from something called driver’s hypnosis. Far too many accidents occur when drivers neglect to check their blind spots or fail to do so correctly. With this Blind Spot Detection tool, you will be warned by small yellow or orange lights shining in your door mirrors. They let you know that there is a vehicle coming up behind you in one of the other lanes and it might not be safe for you to make a lane change at this stage. This is a fantastic tool to check what’s coming up behind you when reversing. It’s especially good for protecting animals and children from being accidentally run over. The wide-angle lenses of these cameras give you a full 180-degree view which makes reversing safer than ever. These features are all great but why stop there? Why not make our cars even safer by creating new technologies and improving the older ones? Well, this is the great thing about technology – it’s always evolving and we always have new features to look forward to as car manufacturers improve their technologies. A feature known as Safety Exit Assist has already been installed on some vehicles but it could become the new standard for all cars. It temporarily prevents children from opening back doors when bicycles and cars are approaching from behind. 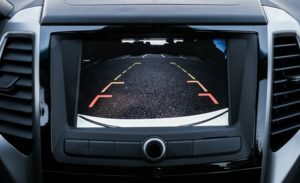 It works in a similar way as the blind spot monitor and this feature is sure to become a must for parents. Facial Recognition Software can also be used in many ways including monitoring the alertness of the driver. For now, this kind of software is designed to alert the driver with a buzzing noise but, in the future, we could see it take more of a proactive approach. Then there are also advancements to technologies like night vision which help warn drivers of pedestrians and bicycles on the road at night and smart headlights that automatically switch from hi- to low-beam when cars approach. Remember, no matter how many safety features you have installed on your vehicle, it’s always important to make sure that you are as alert and responsible as possible. Never drive when tired, sick, on medication that can impair your ability to react, or if you are impared. At the end of the day, your decisions have the greatest impact. The same can be said for your vehicle coverage and insurance. To best protect your vehicle, make sure that you invest in the right used vehicle warranty plan. Call A-Protect Warranty at 1-866-660-6444 for personal assistance in choosing the perfect plan for you. Is your car blocking the flow of traffic? If you are in the middle of the road, you will need to pull over so that you don’t cause an accident. If the engine is not running, you will need to push your car off the road. You should have reflective warning triangle in your car and in the case of a breakdown, put them out to warn other motorists. If possible, turn on your hazard lights. If it is not possible, you should tie something red to your car to increase visibility. It might be tempting to call a towing service as soon as you encounter a problem but you should contact your warranty provider first. If your vehicle has an extended warranty, it’s important for you to submit your claim and request instructions. Your warranty provider might allow you to choose any towing company you wish or you may have to contact somebody on their approved list. In some cases, they may even contact a tow truck on your behalf. Make sure that you understand your obligations as well as what to expect on their part. You should also ask for a time estimate on the arrival of the towing service. If you were involved in an accident, you will also need to contact the relevant authorities to report the incident. This is not only the case if you were involved in an accident with another motorist, but also when property damage is involved. Failing to report an accident can have serious legal implications. You will also need a case number in order to claim from your accident insurance. Even if another driver is at fault, their insurance company will need your claim number. While you wait, you should take the time to remove any important or valuable items from your vehicle. This goes for items of sentimental value too. Not only is this for your own peace of mind, but it’s also to ensure that you have all of your belongings and you don’t need to make a trip to the location where your vehicle is being stored while awaiting repairs. Towing companies and repairers are not responsible for the loss or damage of personal items left behind in your car. Now, all you can do is wait and stay calm. Try not to drain the battery on your phone; you never know when you might need to make another phone call. Don’t forget to stay hydrated and snack occasionally to keep your strength up. 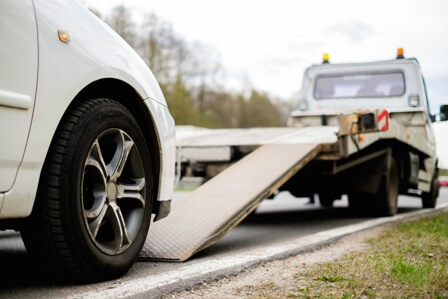 A tow truck might arrive within minutes if you are close to the city, but if you are further away, it can take an hour, or perhaps even longer. Where will your car be taken? When the tow truck arrives, make sure that you know where your car will be taken. The driver might be willing to drop you off somewhere along the way, or you can travel along with the car to wherever it will go. It is best to have the car towed to the place where it will most likely be repaired. If you have it towed to your home, you will have to pay to have it towed again from your home to the repair shop. Make sure that the driver provides you with a collection slip that you can keep as proof that they towed your car. Your warranty provider will also need a receipt as proof of what you paid to have the car towed. You will be reimbursed after submitting your receipt. Ask the driver for their name and feel free to take down the license plate number of the tow truck too. They should give you a business card or contact details of the tow truck company. You should also ask for the contact details of the repairer. If you decide to go along with your car to the repair shop, you could always ask them for a business card. Feel free to follow up with your warranty provider regarding the progress of your claim and, if necessary, inquire about a courtesy vehicle. 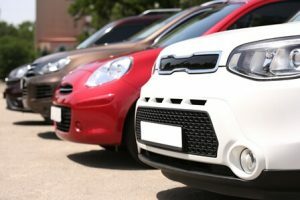 Keep in mind, courtesy cars are usually only available for a certain amount of time. After which, if your car is still not fixed, you may have to rent a car while repairs are being completed. For peace of mind, it’s important to ensure that your car is always covered by a suitable warranty. Contact A-Protect Warranty today at 1-866-660-6444 for professional assistance from our friendly team. Not only will we help you select the best extended warranty, but we will also keep your personal needs in your mind while we do so. 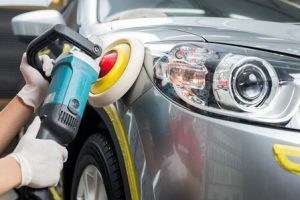 Car care is important throughout the year. Each season brings a fair bit of changes in terms of weather and driving conditions and it is important to make sure that your car is always in good driving shape. Here are some essential car maintenance tips for summer. Your tires are what keeps you on the road. They are the only part of your car that are in contact with the road, which is why it’s so important to choose the right tires and inspect them regularly. Your tires need to have enough tread, no bulges or cracks, and you should also check the pressure on a regular basis. 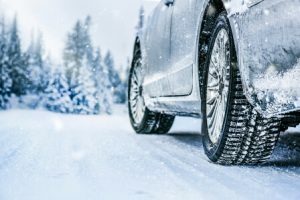 Winter tires should only be used during the winter months and you need to replace them with your summer tires as soon as the weather warms up and you get the green light from the local authorities. The oil level and quality should be checked on a regular basis and oil changes should be done according to the vehicle manufacturer’s guidelines. You need to do so when the engine is cold. This is best done in the morning before you start your car. To check your oil levels start your car, remove the dipstick, wipe it off, and insert it again before removing it to check the level on the stick. Inspect the color and viscosity of the oil. Regardless of levels and consistency, oil needs to be changed after a set amount of time or mileage. The oil filter will also needs to be changed regularly. There are several hoses and belts that experience wear and tear every time you start the engine. Sometimes these parts break unexpectedly but, if a regular maintenance schedule is followed, you can replace worn belts and hoses before they let you down. Your air filter needs to be changed regularly since it is bound to get clogged eventually. Particularly in the winter, salt can take its toll on your filters. Therefore, when the warmer weather arrives, be sure to have your mechanic to check your filters. Spring and summer rain can to come down hard, which means that you need reliable wipers to keep your windscreen clear. Inspect your wipers for cracks and wear. Test them regularly to make sure that they aren’t missing any spots. Replace them regularly and always choose quality wipers for your car. Your brakes are an essential part of vehicle safety. Each time you change your brakes, you will be informed that they will need to be replaced after covering a certain amount of mileage. Pay attention if your brake pedal is noisy, soft or extremely hard, or it rests too high or low or there is an indicator light on your dashboard. These are all warning signs. If you don’t have your brakes changed before you notice these signs, you should definitely have them tended to as soon as even the slightest issue arises. Your radiator and the coolant in your engine are needed for keeping your engine from getting too hot. They are especially important in the summer because of rising temperatures. Make sure that you check your radiator for any possible signs of damage and top up or replace the coolant before it gets too hot. Your battery often loses some of its charge during the colder weather. On top of this, the summer heat speeds up the chemical reaction inside the battery which also shortens its lifespan. By keeping the terminals of the battery clean, you will help extend its life. You should have your air conditioner inspected before summer begins. Inspect the hoses, connections, and determine whether a refill is necessary. By completing this inspection before it gets too hot, you will avoid a lot of unnecessary discomfort. Take note of any odors and make sure that you have your air conditioner checked if it starts to smell strange. You might not need to keep a snow shovel in your car during the next few months but you will still need several emergency supplies. One of the most important supplies is water. When you leave a plastic bottle of water in your car be sure not to consume it. This water is strictly for external use or to top up the water in your vehicle. If you want to keep drinking water in your car, you should take a fresh bottle each time you take a drive. Having the right coverage for your vehicle is also essential for road safety. At A-Protect Warranty, we offer a wide variety of different warranty options to suit various needs and budgets. Call 1-866-660-6444 today for professional advice from our expert team.